Claire Forlani was born on the 1st July 1972, in Twickenham, London, England of English and Italian descent. She is an actress who is probably best recognized for starring in the roles of Susan Parrish in “Meet Joe Black” (1998), Queen Igraine in the TV series “Kamelot” (2011), and as Lauren Hunter in the TV series “NCIS: Los Angeles” (2011-2012). Her professional acting career has been active since 1991. So, have you ever wondered how rich Claire Forlani is? According to authoritative sources, it has been estimated that the total size of Claire’s net worth is over $5 million, as of mid- 2016. She has been accumulating this amount of money through her successful involvement in the entertainment industry as a professional actress. Additional to this, she has appeared in various advertising campaigns, which have also increased her overall wealth. 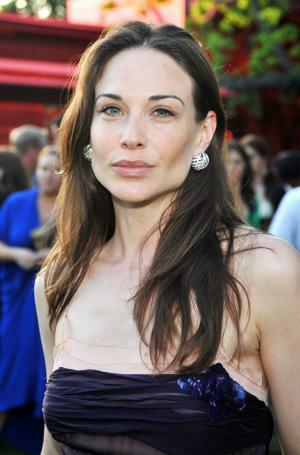 Claire Forlani was brought up in London by her mother, Barbara Dickinson, and her father, Pier Luigi Forlani, who was a music manager. When she was only 11 years old, she enrolled at the Arts Educational School in London, where she started studying acting. Parallel with that, she was also very active in attending dancing classes. As she excelled in both acting and dance, Claire appeared on stage in the productions “Orpheus In The Underworld” and “The Nutcracker”. Claire’s professional acting career began in the early 1990s, with the a role in the TV series “Press Gang” (1991-1992), and in 1992 she made her film debut in “Gypsy Eyes”, with Jim Metlzer. She began slowly to build her career, with roles in such productions as “Police Academy: Mission To Moscow” (1994), and “Mallrats” (1995), alongside Jeremy London and Shannen Doherty, and then featured in “Basquiat” (1996), “Meet Joe Black” (1998) with Brad Pitt, and “Into My Heart” (1998). All of these roles contributed a lot to the overall size of her net worth. With the beginning of the 2000s, her career reached a whole new level, enabling her more notable roles, including in the films “Boys And Girls” (2000), “Antitrust” (2001), “The Medallion” (2003), “Shadows In The Sun” (2005) with Harvey Keitel, and “Green Street Hooligans” (2005) with Elijah Wood. In 2006 she was selected for the role of Dr. Peyton Driscoli in the TV series “CSI: NY” (2006-2011), but also remained on the big screen by appearing in the films “Flashbacks of a Fool” (2008), “Not Forgotten” (2009), and “Love’s Kitchen” (2011). In 2011, she was selected for the role of queen Igraine in the short-lived, but successful fantasy TV series “Kamelot”. Her net worth was certainly rising. To speak further of her career in the entertainment industry as an actress, Claire appeared in “NCIS: Los Angeles” (2011-2012), “Scruples” (2012), and most recently the films “Running For Her Life” (2016), “Precious Cargo” (2016), and “Crystal Inferno”, which will be released in 2017. If to talk about her personal life, Claire has been married to Scottish actor Dougray Scott since June of 2007; the couple has a son; she also accepted his two children from his previous marriage. Their current residence is in Los Angeles, California. 1 But 'Basquiat (1996)' is the first thing I've done that I'm really proud of. 2 Armani's clothes are beautiful and modern and I love him. 3 After I saw the first thing I ever did, I got a migraine. 1 Son Milo Scott born on December 27th 2014. 2 Appears in scenes shot in the Palace of Fine Arts Theatre in San Francisco in both Boys and Girls (2000) and The Rock (1996). 3 Lives in Los Angeles. 4 Appears in deleted scenes for Jeff Goldblum's movie Pittsburgh (2006). 5 Stepmother to Eden and Gabriel Scott (fraternal twins). 6 Wore a custom-made wedding gown by Junko Yoshioka for Bonaparte-NY and Jimmy Choo heels. 7 Wed Dougray Scott in a private civil ceremony in Italy. Banquet was held at her family's country home in Pievebovigliana. 9 Ranked in Loaded's Hot 100 Babes. 10 Ranked #85 (2001) in FHM's 100 Sexiest Women. 11 Ranked #51 (2000) and #89 (2001) in Stuff's 100 Sexiest Women. 13 The daughter of an Italian father and a British mother. 16 The British-born actress has spent the majority of her career playing characters with American accents. 17 Walked out on the set of Deep Rising (1998). Who is Dougray Scott, who’s The Woman In White star’s ex-wife Claire Forlani and what else has he starred in? Who is Dougray Scott, who’s The Woman In White star’s ex-wife Claire Forlani and what else has the starred in?